South Korea’s President, Park Geun Hye, is spending her first summer vacation as the leader of the land from July 29th to August 2nd. Where she is staying is a matter of security. Many of the past presidents of South Korea and their families spent their summer vacation at the presidential villa called “Cheongnamdae”. People lining up to get inside the main residence. I visited Cheongnamdae last spring and I fell in love with it. It is one of the most beautiful places I’ve been to. 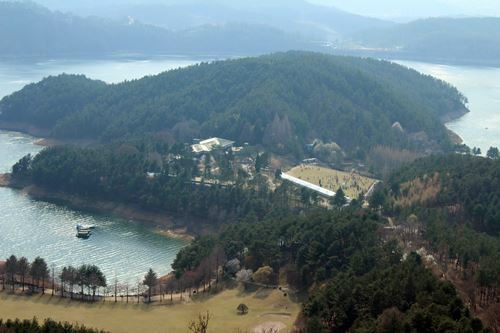 Aside from being a former presidential retreat, it is also a famous filming location for many Korean dramas including “Boys Over Flowers”, “IRIS”, and “King of Baking, Kim Tak Gu”. Cheongnamdae is located in the city of Cheongju in North Chungcheong province, about 150 km away from Seoul. It takes about 2 1/2 hours by car. The drive to Cheongnamdae from the main road is truly scenic with the view of Daecheong Lake. 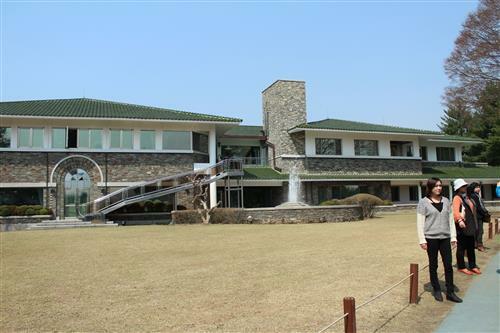 President Chun Doo Wan chose to built the presidential retreat in the area and it was completed in June 1983. It was only in 2003 when the villa was opened to the public. 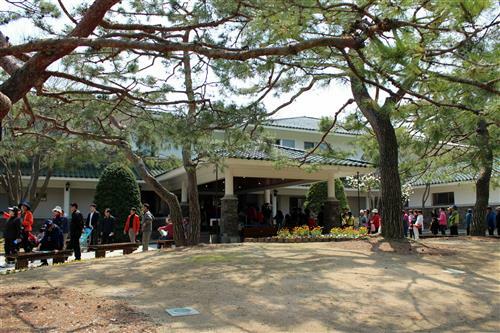 There are more than 40 buildings and facilities including a museum, the main residence, golf course, fish farm and forest trails. 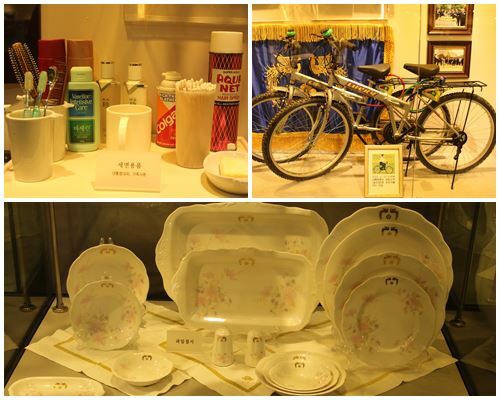 The museum is divided into two areas: the eastern part details the work of the presidents with their portraits and gifts they received from other countries during their term, while the other part showcases how the presidents spent their vacation at Cheongnamdae. The main residence is a two-storey mansion located a few hundred meters from the museum. On the second floor are the presidential office and family quarters. There are four guest suites at the west wing of the first floor, as well as a parlor, a dining room and a small ballroom. Unfortunately, photography is not allowed inside the building. My favorite part of the Cheongnamdae complex is the trail that leads to the observatory. It’s a 645-step stair that literally almost took my breath away. The view from the observatory is amazing! It was a little foggy but it was beautiful anyway. A view of the main building from the observatory. After visiting Cheongnamdae, we drove to Munui (ë¬¸ì˜) town road where we bought a kilo of Hanwoo beef for only 50,000 won (less than 50 USD and that’s cheap) and had them cooked at one of the restaurants along the street. That same dinner would’ve cost us 150,000 won in Seoul. 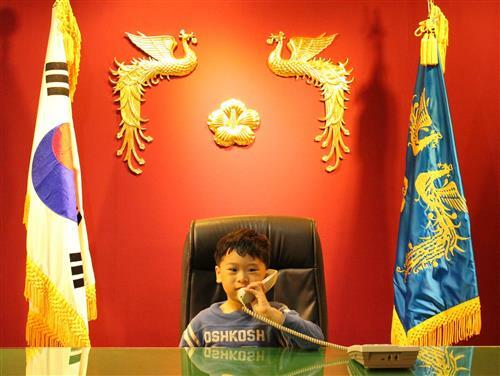 Check VisitKorea for information on how to get to Cheongnamdae. It’s worth the travel time, especially if you drop by Munui for the Hanwoo. You can also take a virtual tour from their home page. Good day ate Betchay! I was wonderin po if you could send me a quotation about somethings I sent to your email few days ago 🙂 Nakalimutan nyo po ata last time hehehe hope to hear from you soon ate Betchay! By the way ate Betchay there is a new items added so I sent another email 🙂 Thanks again ate Betchay!